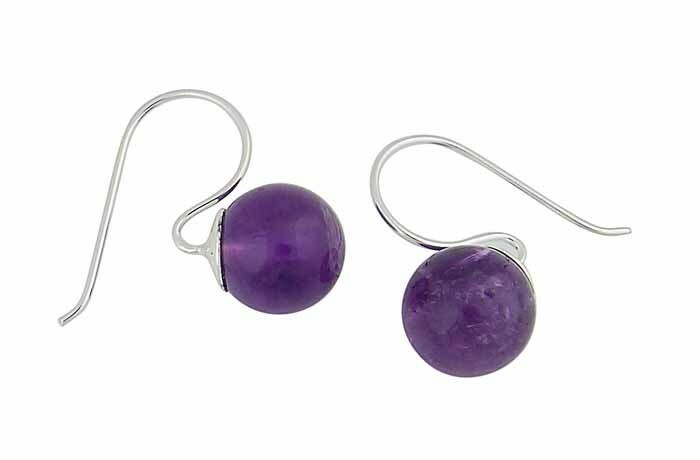 Celebrate the rich pop of this ever-popular gemstone with these structured drop earrings. 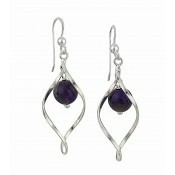 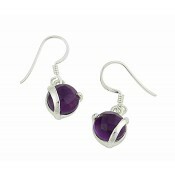 Each one has been set with a rounded ball of sumptuous Amethyst - revered for its deep purple hues. 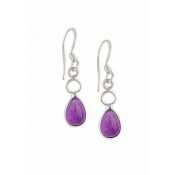 Unique to other styles on the market, they sit proudly below the lobe and add demure detail to any look.